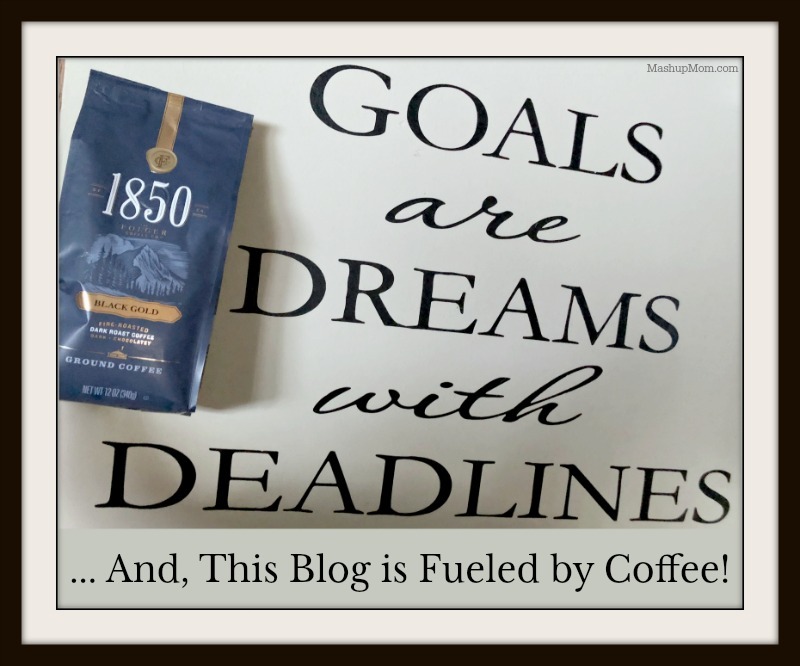 Goals are Dreams with Deadlines -- And, This Blog is Fueled by Coffee! Goals are Dreams with Deadlines — And, This Blog is Fueled by Coffee! Here’s a little peek at the wall by my desk, which has long sported this Goals are Dreams with Deadlines decal. And it should be no secret to any of you who have been reading along for a while that my goals — and this site — pretty much run on coffee! Beyond my usual morning cup of coffee, however, I often brew a second small pot as an early afternoon pick-me-up that helps fuel the recipe development over here: I love to sip a little black coffee at my desk while brainstorming and drafting ideas, or while chopping veggies and simmering up new recipe concepts in the kitchen. Brew a small batch of early afternoon dark roast (not too much, so as not to be drinking coffee too late…). Sip, type, and brew up new recipe ideas! I can’t drink coffee after about mid-afternoon, but it’s just perfect for that after lunch brainstorming period before Middle School Guy gets off the bus. 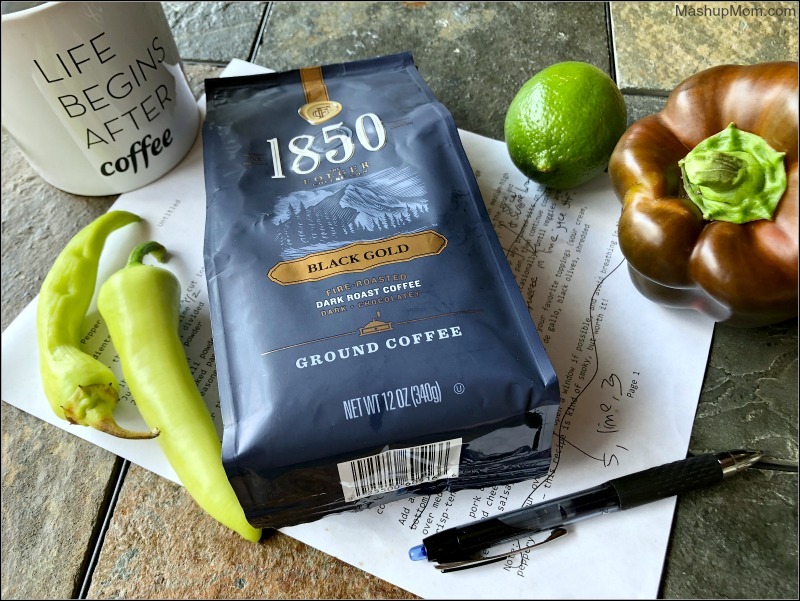 And, I do love the 1850™ Brand Coffee #InspireYourBold hashtag — because it reflects the evolution of the site, from first striking out on my own, to moving away from “deals” a couple of years ago to focus on recipes and meal planning. So, what’s up with this new 1850 Brand Coffee? 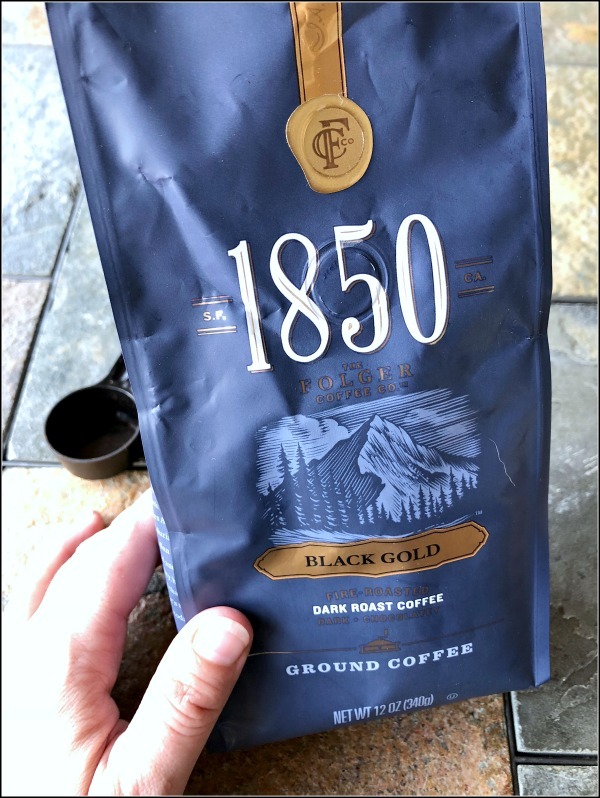 I recently had the opportunity to try out this new 1850 Brand Coffee, which is currently available in four ground blends (plus four options in K-Cups, and will be available in three ready-to-drink flavors). Of course I went with the 1850 Black Gold Dark Roast Ground Coffee here. Because, dark roast! Don’t be scared off, however: As dark roasts go, this one is firmly on the mellower side. This new 1850 Brand Coffee is brought to you by the makers of Folgers, and is made from fire-roasted, steel cut, 100% Arabica coffee beans. This method is intended to create a unique blend with a bold flavor — yet with a smooth, and less bitter taste. I picked up my 1850 Brand Coffee at Jewel-Osco. 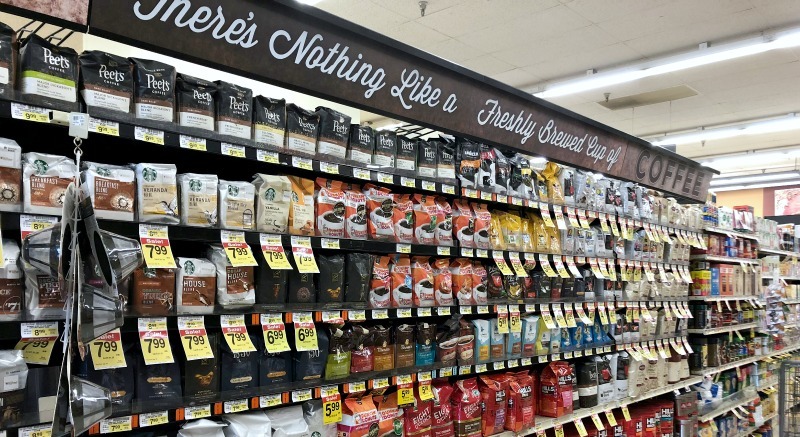 Follow my lead, find it in the coffee aisle (I’ve always enjoyed their sign! ), and be sure to clip yourself a coupon for $1.00 off on Jewel MyMixx so that you can give this new product a try for yourself. 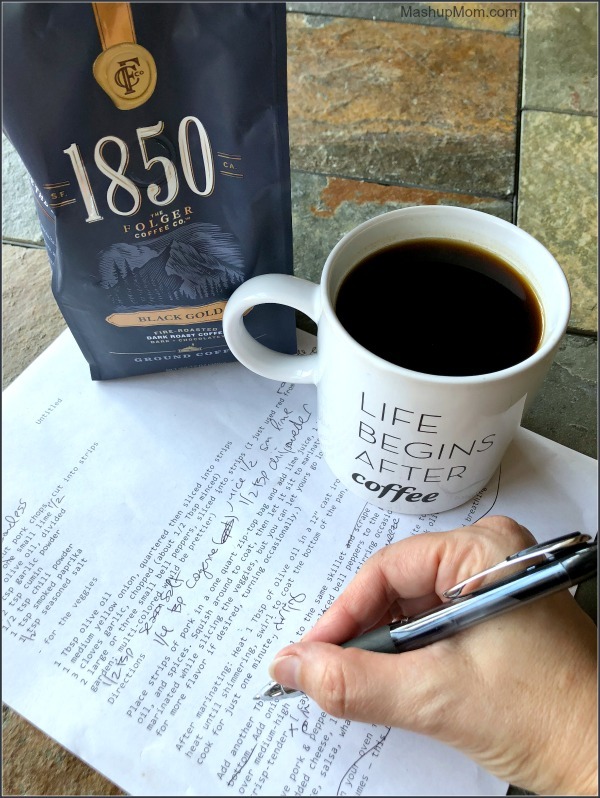 Learn more about the 1850 brand on the 1850 Brand Coffee website and on their Facebook page — and if you have a moment, do let me know how you enjoy your coffee outside of the usual morning routine!